DEBORAH J. LEVINE is an award-winning author of 13 books, keynoter, and coach. With degrees in Cultural Anthropology, Urban Planning, and Religion, she is a pioneer in Thought Diversity & Leadership. She created the DuPage/Chicago Interfaith Resource Network, the SE Women’s Council on Diversity, and the AmericaDiversityReport.com Deborah grew up in British Bermuda and has worked & studied across the US: Birmingham, Boston, Chicago, Cincinnati, Huntsville, Nashville, New York City, Orlando, Tulsa, and Santa Cruz. She is currently headquartered in Chattanooga, Tennessee. The cornerstone of Deborah’s cutting edge work is Thought Diversity and her copyrighted textbook, Matrix Model Management System. The Matrix System is an interactive tool kit using the Storytelling Matrix , Conflict-Comfort Matrix, and Wise Decision-Making Matrix. The Matrix System develops leaders and builds innovative teams while maximizing the power of cultural differences of race, ethnicity, gender, generation, and religion. The current version of the Matrix System is the Un-Bias Guide Series for Leaders & Educators. Clients: Deborah Levine has been a coach, trainer, and speaker for multiple organizations and conferences: Unum Life Insurance of America, First TN Bank, SunTrust Bank, US National Parks Service, Erlanger Health System, National Assoc. of Women Business Owners (NAWBO), SE Assoc. of Social Workers, Metropolitan Ministries, and the City of Chattanooga. Deborah Levine’s cross-cultural coaching and workshops are tailored for leadership development and diverse team building of international industries in the South and local executives doing business globally. Using the engaging style of Southern storytelling, her book, Going Southern: The No-Mess Guide to Success in the South, combines culture, humor, and tips for expats & US transplants coming into the South and those who work with them. The book was featured nationally on CSPAN and is often bought in bulk. Clients: Deborah has served as a cross-cultural consultant, trainer, and coach for executives and diverse teams for corporations and nonprofits: Volkswagen, Nissan, International Paper, Kimberly Clark, La-Z-Boy Inc., BlueCross BlueShield of TN, Birmingham International Center, Chambers of Commerce (Chattanooga and Birmingham), and the Birmingham International Center. Deborah served as VP of Communication for the Chattanooga Area Chamber of Commerce’s International Council. Deborah Levine’s experience as a diversity consultant, cross-cultural speaker, and global leadership trainer includes multiple education organizations: school districts, colleges, nonprofits, and universities. She keynotes, conducts diversity workshops, provides teacher training, and facilitates planning sessions. Clients: She has been a speaker for the Fulbright Scholars of Alabama, Auburn University, the University of Tennessee at Chattanooga, Southern Adventist University, Wheaton College, and the Global Leadership program at Chattanooga State Community College. She designed a Teen Global Leadership class for Chattanooga students and in partnership with Volkswagen for Chattanooga ‘s Urban League. She has given workshops for the Assoc. of American Veterinary Medical Colleges, the Equity Forward Conference/University of TN at Chattanooga and Colleges of Medicine (Chattanooga, Birmingham). Deborah also created diversity training for public schools in Tennessee, Illinois, and Oklahoma. Deborah Levine’s experience in religious diversity spans thirty years beginning with coordinating the National Workshop on Christians ad Jews. She served as executive director for Jewish Federations in Illinois and Tennessee and as director of community relations for the Tulsa Federation. She established the Women’s Council on Diversity and the DuPage Interfaith Resource Network. 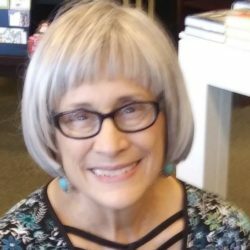 Deborah explains how she came to work in this field with her book, The Liberator’s Daughter, which was a Memoir Finalist in the 2017 Indie Book national competition. She has been a blogger with www.WorldAnglican.com and The Huffington Post. Clients: National Association of Veterinarian Colleges, National Workshops on Christian-Jewish Relations, Parliament of the Worlds Religions, Hunstville Unity Conference, Seventh-day Adventist National Conference, Jewish Federations Annual Conference, Elmhurst College, United Methodist Mid-west Regional Conference, Erlanger Health System, Pennsylvania Chaplains Association, and Assoc. of American Veterinary Medical Colleges. The winner of a National Press Association Award, Deborah’s articles are syndicated in local newspapers and appear internationally in the European Women in Construction & Engineering, Harvard Divinity School Bulletin, The Bermudian Magazine, The Journal of Ecumenical Studies, and Journal of Public Management & Social Policy. Her work has been featured in major media outlets: Online Wall Street Journal, The Chicago Tribune, The Tulsa World, Lifestyle Entrepreneur, and CSPAN BOOKTV. Her historical memoir, The Liberator’s Daughter, was named a Finalist in the 2017 national Indie book competition. CLICK to see Deborah 13 cutting-edge BOOKS & RESOURCES . Deborah is the founder of the American Diversity Report and its Editor-in-Chief and is currently an opinion columnist with The Chattanooga Times Free Press. • MA: Urban Planning & Policy. University of Illinois at Chicago, 1993. • MA: Religious Studies. Spertus Institute of Jewish Studies. 1991. Arts Administration Certificate. University of Illinois at Chicago, 1993. Research Fellowship: William Andrews Clark Library. UCLA, 1982. In addition to the awards received for her writing, Deborah has been recognized with awards by the TN Economic Task Force on Women, American Planning Association/Chicago, and was named Champion of Diversity by diversitybusiness.com. She serves on the TN Advisory Committee of the US Global Leadership Coalition and the Diversity Advisory Task Force of Volkswagen Chattanooga.